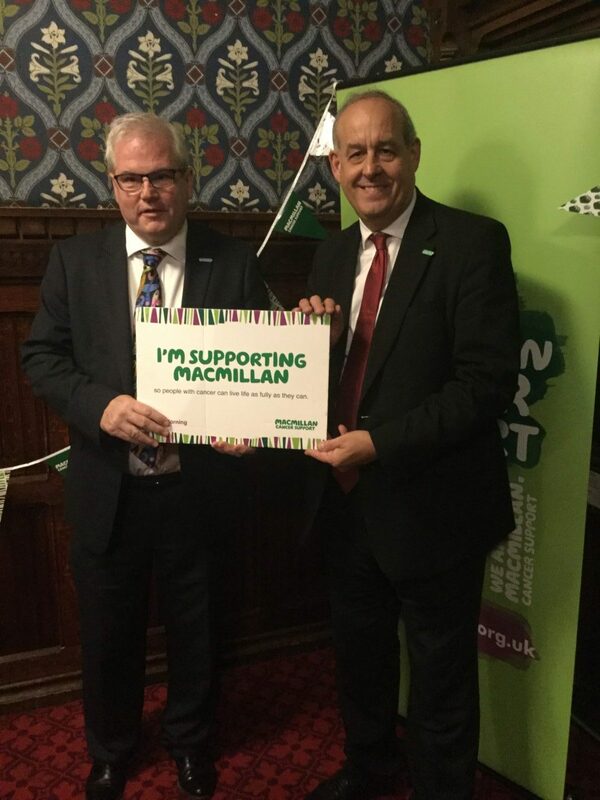 I have attended the annual Macmillan Cancer Research coffee morning in Parliament to lend my support for their campaigning and research aims. The World’s Biggest Coffee Morning is Macmillan’s biggest fundraising event. People all over the UK host their own coffee mornings and donations on the day are made to Macmillan. Every donation helps the charity in their campaign against cancer. This year they hope to raise over £27 million again this year, to help everyone living with cancer to live life as fully as they can.